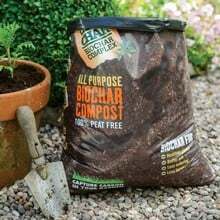 This Soil Association approved GroChar Biochar Seed Compost is the growing medium all seeds and gardeners alike have been waiting for; packed full of beneficial - and completely organic - nutrients, the seed compost will get seeds off to the strongest possible start. The Carbon Gold GroChar seed compost additive list makes impressive reading; added to mycorrhizal fungi and wormcasts is Carbon Gold biochar, seaweed, organic coir and a vegetable-based nutrient blend, all of which work together to help ensure high germination rates and healthy early root formation. 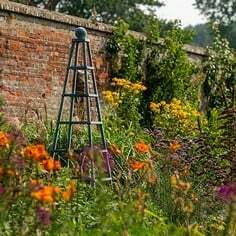 You'll also find that seeds and seedlings raised in Carbon Gold Biochar Seed Compost ‘take’ quickly when potted on or planted out so grab yourself an 8 litre bag of this potent seed sowing mix and enjoy the garden benefits! 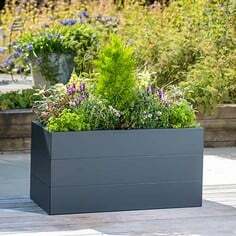 GroChar All-Purpose Compost is ideal for transplanting seedlings, container pots, hanging baskets and indoor plants. This is the first year I've tried this and conducting my own experiments with an assortment of seed sowing. 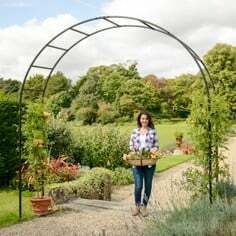 The other medium I'm using is Westlands Growsure which is also organic. The Carbon Gold has had far better and faster germination results. In the case of broad beans 100%, compared with 75% of the Westlands. I also mixed the two together (to see if it would stretch the cost) and had 75% germination, so looks like CG is the one to use. The tomatoes and peppers are much stronger and all the plants look so much healthier. 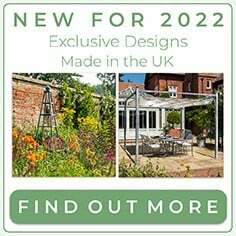 So I will be using this compost next year. 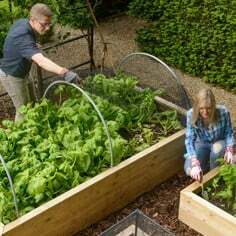 Only 2 disappointing results and considering I'm using a variety of mediums I have come to the conclusion that it is the actual seed that is at fault - one is lettuce and the other spinach with exceedingly poor germination. 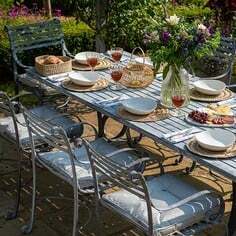 As for the John Innes seed sowing medium - I have decided that is only good for chicken dust baths! The best mulch I have used for suppressing weeds and with the added bonus that it is a very good slug deterrent and also seems to help keep down the damage caused by rabbits and pheasants too! I have now been using this compost for a couple of months or so and I am impressed. The compost is light and friable but holds moisture well. Other general purpose peat free composts have dried out and been hard to rehydrate, as well as being too bulky for use with seeds. Friends have commented on how healthy my tomato seedlings look, and my peppers and sweet peas seem to like it too. I have many more seeds to sow but I am back for more of this. I just wish it came in bigger bags, and from that point of view it is more expensive but so far worth it. 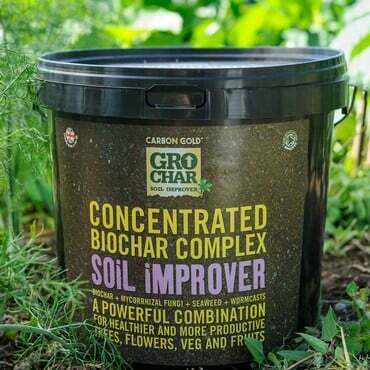 Carbon Gold’s GroChar is a range of Soil Association approved composts, fertiliser and soil improver containing enriched biochar. 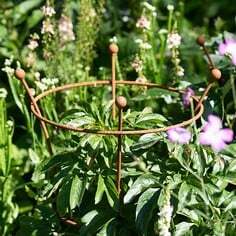 They help to retain moisture, increase nutrient availability and create resilient, healthier plants. 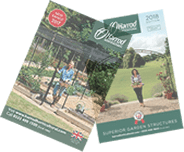 Our tree care range blends are proven to significantly reduce losses and improve the vitality of transplanted and established trees. Ideal for decompacting and amending waterlogged soils, and stabilising soil moisture in sandy soils, enriched biochar allows trees to grow strong, healthy root systems in the harshest conditions. Carbon Gold’s peat free biochar products are used by professional growers, allotments and home gardeners because they deliver superb results. 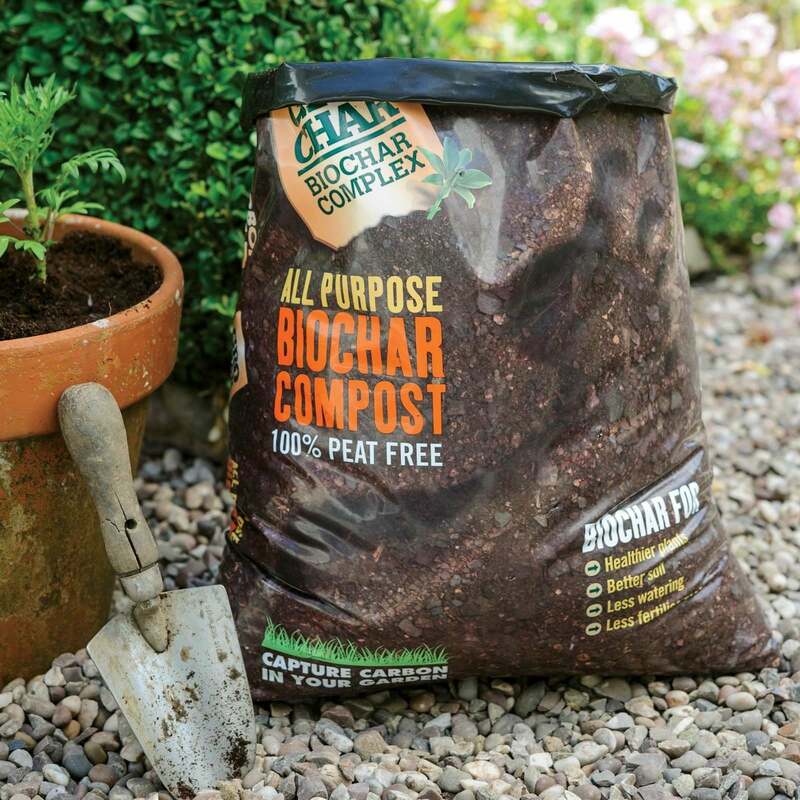 GroChar composts are soil association approved, peat-free and enhanced with biochar, mycorrhizal fungi, seaweed and wormcasts. This means that the products deliver exceptional germination rates, impressive root growth, and very good water retention. Biochar is a porous, high-carbon form of charcoal used to improve soil nutrition and structure. It is essential for stronger, healthier, more disease resilient plants.